The guys are back and ready to break down the news from a busy week in the NHL, including a coach this week that offered to take on the ultimate role: Player Coach. Nino Niederreiter was dealt by the Minnesota Wild to the Carolina for Viktor Rask. Who wins? The Canes also extended Teuvo Teravainen. The Carolina Player Coaches are doing things! The World Cup of Hockey was cancelled. What does this mean for labour peace in the future? 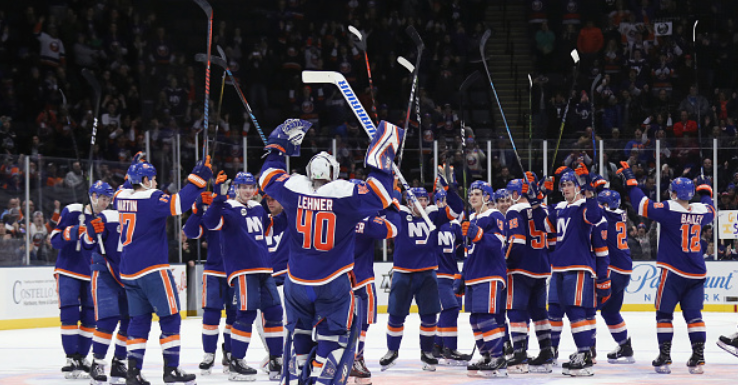 The New York Islanders continue to win! But where will they end up this season? Lastly, the Detroit Red Wings enter the Elimination Station and a miniature Pavel Bures are selected. All this and more on episode 215 of the 4th Line Hockey Podcast!